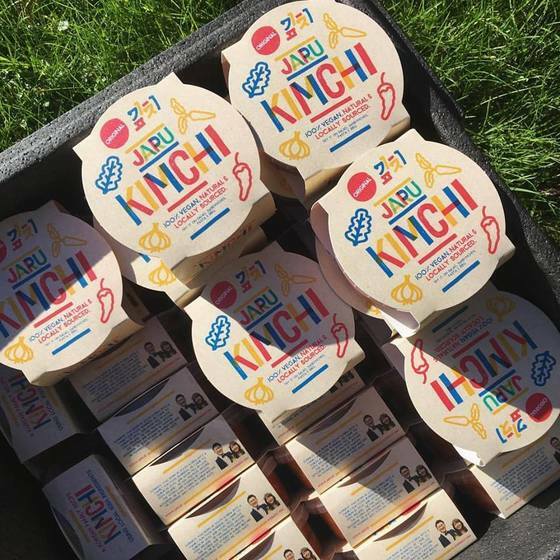 Jaru’s Packaged Kimchi available at Irish grocery stores [Jaru Instagram]. This February, kimchi made its debut in Irish market through Ireland’s large grocery chain, SuperValu. Even though jeotgal (salted seafood) is absent due to vegetarian concerns, the taste and texture of “Irish kimchi” matches that of the original. Moreover, the local reaction to kimchi has exceeded expectations; people are enjoying kimchi in their own ways, whether as a topping in sandwiches and as an unusual ingredient for pasta sauce. Despite its relatively high price of 3.8 euro for a 180g package, over 2,300 packages are sold every month, and it is popular enough that the number of retail stores carrying kimchi has increased from 3 to 23. Behind the success of “Irish kimchi” is Gunmoo Kim, 30, the founder of Jaru. Gunmoo Kim, the founder of Jaru [Jaru Instagram]. Upon completing his mandatory Korean military service in his 20s, Kim decided, on a whim, to leave for Ireland, with little else to guide him but a desire to “find his true self.” Seven years later, Kim has found himself running a successful food business, despite having known nothing about cooking or about Ireland prior to moving there. “I just wanted to throw myself into a completely new environment,” said Kim. Upon arriving in Dublin in 2010, Kim immediately ran into difficulties adjusting to a foreign country. Without fluent English, he couldn’t find a job with most Irish businesses, but without a job to fill his increasingly empty wallet, he couldn’t find time to refine his English. Only after three months of diligent searching did he find a part-time job as a dishwasher at a Korean restaurant. After two years of learning the basics at the Korean restaurant, Kim entered Dublin Institute of Technology as a Culinary Arts major. Spending days at the school and nights at a French restaurant as a dishwasher, Kim devoted another two years to refining his cooking skills. Finally, in May of last year, Kim and two co-founders launched a Korean food business named Jaru. Using freshest local ingredients and traditional Korean recipes, Jaru introduced Koreans’ favorites like doenjang, jjajang, or kalbi, instead of bibimbap and bulgogi that are already widely known. 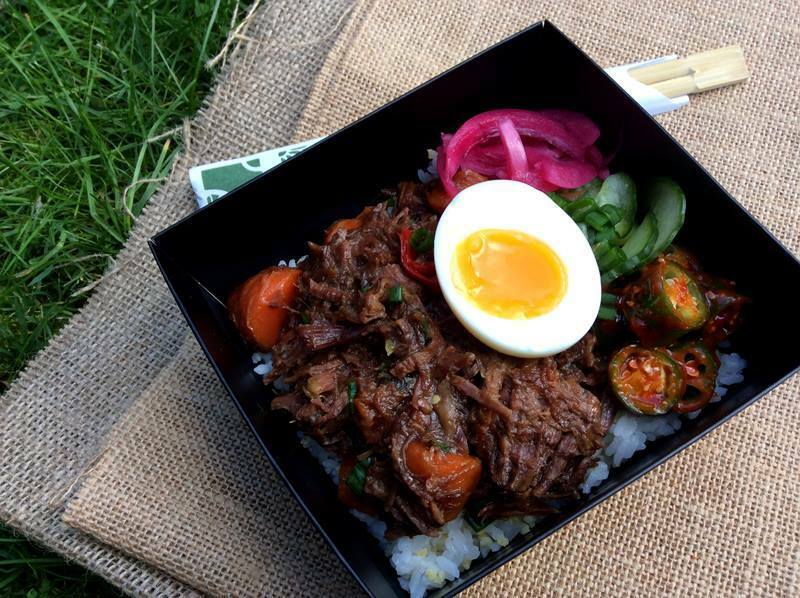 Jaru’s Beef Bowl is one of the most popular items at Dublin’s Food Market [Jaru Instagram]. Jaru is now one of the most popular vendors at a food market located at the center of Dublin. They started supplying packaged kimchi products to SuperValu in February, which will be the cornerstone of Kim’s further expansion.